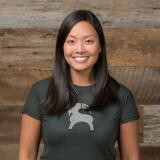 As EVP of Merchandising, Diana leads Backcountry’s merchandise buying functions. Before joining Backcountry, Diana worked at The Children’s Place as the VP of Ecommerce Merchandising, Planning & Global Marketplaces. Prior to that, she worked for Gymboree, Ann Taylor, Saks Fifth Avenue, and Bloomingdale's. Check out the incredible speaker line-up to see who will be joining Diana.